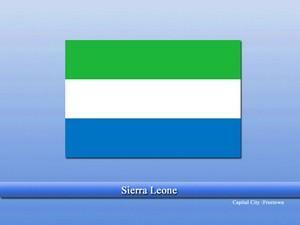 Sierra Leone, authentically the “Republic of Sierra Leone” is an independent country in Southwest Africa. The country has distinct features like tropical climate, savanna, beautiful white beaches, and rich colonial history. The country also has rich deposits of some of the most precious minerals in the world like diamonds, gold, etc. Moreover, the country is a member of the United Nations, the African Union, and the Organization of Islamic Cooperation. 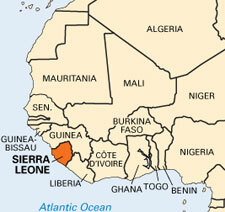 Archeologists estimate that the regions of modern Sierra Leone have been inhabited for 2,500 years. The region has some defensive geography like dense forests, etc. that protected the people from the outsiders for a long period of time. Majority of the people accepted Islam by the 18th century due to the constant visits of Muslim traders, merchants, and preachers. Slave trade is one of the most important and dark events in the region’s history. Millions of slaves were captured and sold from the coasts of Sierra Leone and were sent to different parts of the world e.g. the Americas. Majority of them died thousands of kilometers away from there home, however, few of them were freed and made it back to their country and resettled. By the 18th century, European influence was looming all over Africa and Sierra Leone became a British colony. Although some people resisted the British rule, due to military supremacy they were let down and the British succeed to hold the region until it was finally given indene in 1961. The country is bordered by other African Nations of Liberia towards the Southeast and Guinea towards the North and East. Human activities have seriously disturbed the region's wildlife. Deforestation is still common in the country. The civil wars and political unrest have damaged the country’s economy and infrastructure to much extent. Today, agriculture is the largest economic sectors and employs the majority of the workforce. It is also aided by the fertile lands and suitable climate. The export of diamonds and gold also bring in revenue worth millions. 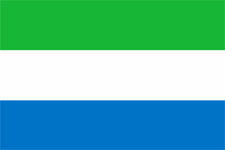 The constitution of Sierra Leone provides religious freedom and the country has no state religion. Islam is the largest region of the country followed by a significant population of Christians. The country is regarded as one of the most religiously tolerant countries in the world as Muslims and Christians are living side by side happily without any conflict or issue. English is the official language of the country and is used for official and educational purposes while “Krio” is the most widely spoken language of the country.